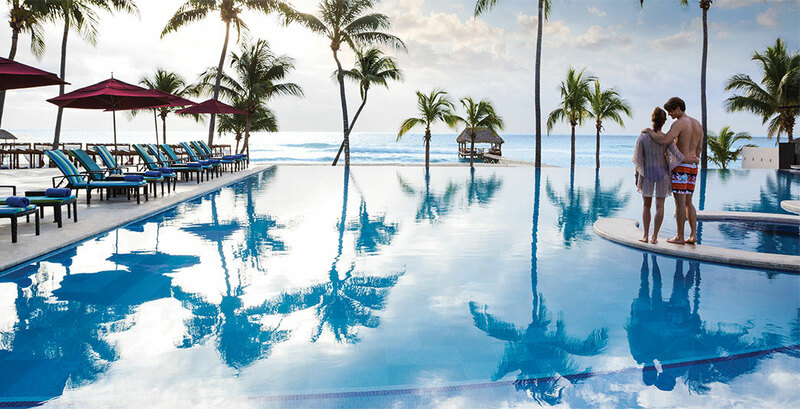 Pick a luxury hotel on the beaches of Playa del Carmen and pamper yourself with an upscale vacation this summer. Azul Fives hotel by Karisma is on sale on select dates through the summer and you can book it starting from $185 pe and save on your stay. 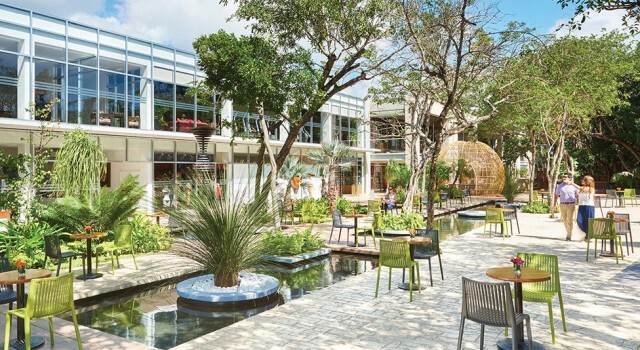 On the iconic white sands of Riviera Maya, the luxurious Azul Fives by Karisma hotel is located about 35 minutes south of Cancun International Airport (CUN), close to the charming city of Playa del Carmen. The all-inclusive beach resort is a 10 minute drive away from downtown and all that it can offer. 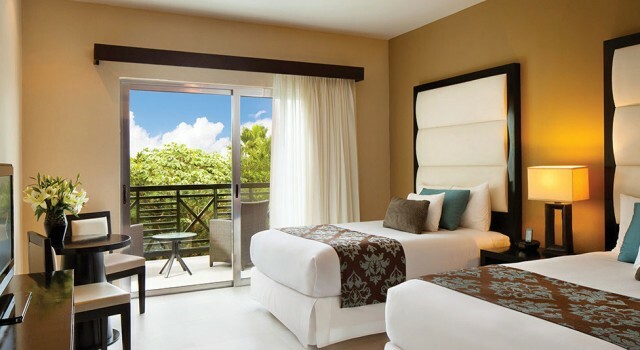 The contemporary elegance of the rooms and suites will just enhance the luxury experience you get at the Playa del Carmen hotel. 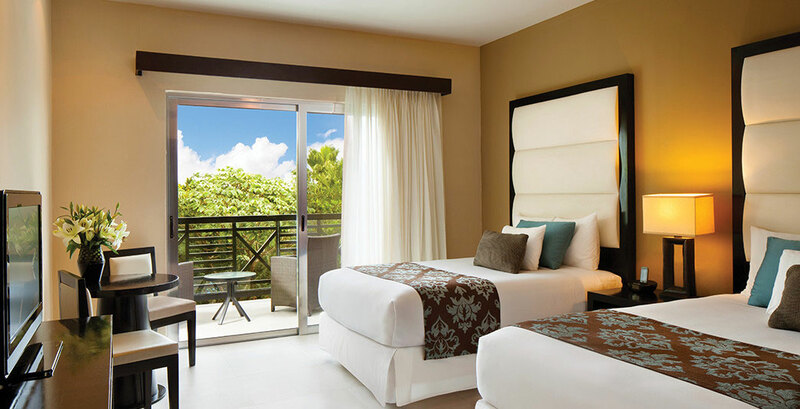 Stay in deluxe rooms, one, two or three bedroom suites at Azul Fives. They come with private, furnished balcony, flat screen TV, sitting area, king or two double beds, phone with voicemail and bathrooms with slippers, bathrobes, frosted glass doors and more. Suites have full kitchenettes, dining area and more features. The all-inclusive, or as they call it Gourmet Inclusive, services you will get at Azul Fives by Karisma hotel are a welcome glass of sparkling wine, 24 hour room service, all meals at all restaurants, a selection of alcoholic and non alcoholic drinks, and complimentary Wi-fi access. You want more? 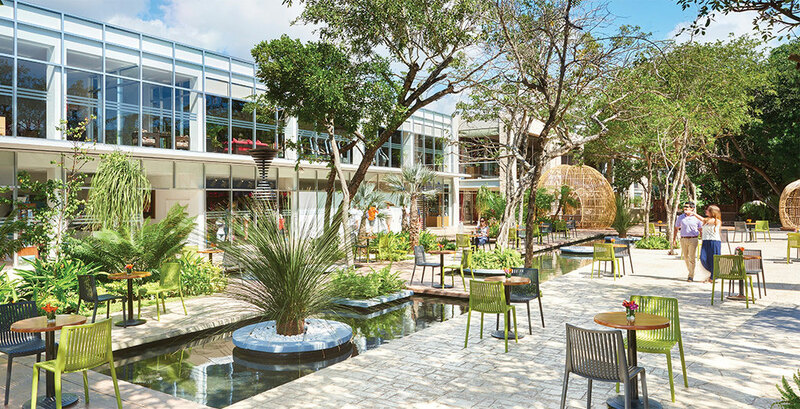 You can also make free International calls, have your children entertained at the Kid’s Club and your teenagers at the Teens’ Club, get kids’ menu at the restaurants, access to the fitness center, concierge services, snorkeling equipment and lots of programs day and night. At Azul Fives beach resort you can also request baby amenities from baby monitors and cribs to bottle warmers and changers. 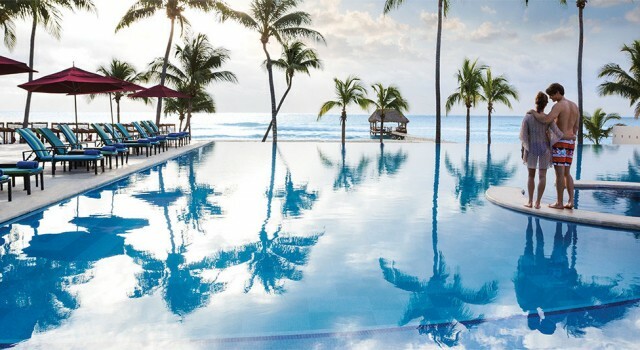 Pick a few, or more, of the travel sites from the box and compare their prices to see lots of other Playa del Carmen hotel deals and maybe choose one you like better than the offer featured here. Remember, the more merchants you compare, the better your chances at finding a cheaper hotel.